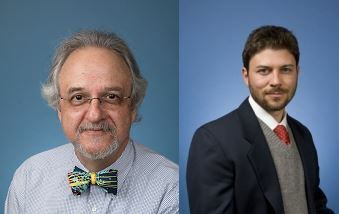 Professor Arthur Stein, Professor Robert Trager, and their research team have received a UC Multicampus-National Lab Collaborative Research and Training Award exceeding $3 million for their research project, “Political Conflict and Stability in Dynamic Networks.” Professor Stein and Professor Trager are Co-PIs. The other four Site Leaders/Co-PIs are Dr. Sara Del Valle (Los Alamos, Scientist), Professor Noah Friedkin (UCSB, Sociology), Professor Aila Matanock (Berkeley, Political Science), and ProfessornDavid Meyer (UCSD, Mathematics). The project uses events data as well as surveys and survey experiments to assess empirically the behavioral dynamics of structural balance in political networks. It addresses key security concerns, among them the foreign policy implications of regime change, the reverberating consequences of an outbreak of a civil war or conversely of a peace agreement, and the consequences of an external intervention in a domestic dispute.